Thursday afternoon. May 12, 2016. A day I'd been anxiously waiting for. In fact, why only me, the entire food community in Delhi-NCR was hoping to be at 52 Janpath that day. After all, how many new cafes, diners, or fine-dining restaurants do you personally know of that invite bloggers for a preview lunch even before the property has opened doors for everyone? This event was made possible by efforts from Roma, the mainstay of the Delhi Foodies Insta Meet (DFIM) community. The new, special menu was curated by Chef Narender Thakur, who hails from Hamirpur, Himachal Pradesh. Specializing in European cuisine, Chef Narender has over a decade of F&B experience behind him, having worked for reputed brands like the Hilton, Claridges, Roi Hotels India Pvt. Ltd., Underdoggs Sports Bar and Grill, etc. The thing about a new food property is that it evokes a lot of interest from people who are looking for unique experiences. Good food is almost a given these days! Thankfully, the new Kitchen Bar and Courtyard at 52 Janpath didn't disappoint! Perfectly done interiors with every artifact carefully hand-picked and placed in cozy corners to enrich our experience. 52 Janpath features sunlit French windows opening into a quaint little backyard and a beautiful vertical garden. I also loved the garden themed bar, where you can savor special herb based cocktails*. A visit to 52 Janpath feels like coming to home. The place has an undeniable old school charm to it, bringing together inspirations from the across the world. 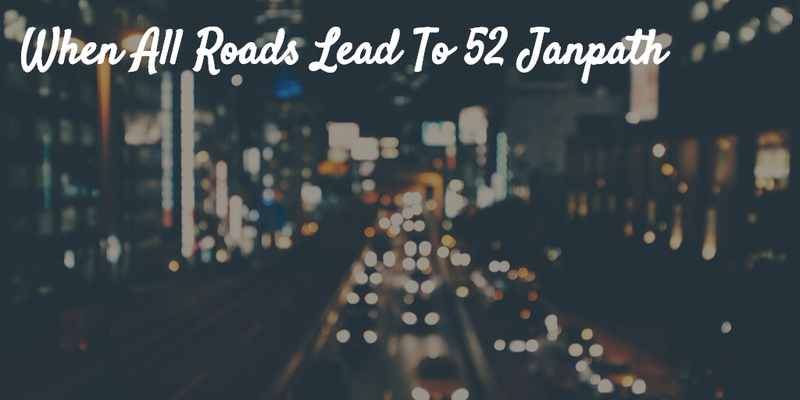 If you are a connoisseur of taste, 52 Janpath transports you back to an era, where days were longer and pleasures were simple. So sit back, grab a book from the shelf, sip your favorite cocktail, and indulge in the finest brands of Cigar and Cognac. Designed akin to a large country home, the space renders a classy ambiance that makes you feel welcomed and at home almost immediately. With different zones that merge together seamlessly, 52 Janpath is all about picking your comfy spot - be it a window side lounge, a cottage style fireplace, a four person dining area, or a whiskey and cigar corner - each zone featuring its own customized ensemble of furniture and artifacts, lending authenticity while offering a variety of dining and hosting styles. The overall design aesthetic draws inspiration from medieval style architecture, using period specific building elements like rustic stone walls and limestone flooring. On top of that, the inspired decor adds a touch of contemporary and industrial treatments - in terms of furniture and lighting. The carefully handpicked upholstery, in particular, maximizes on tactile and visual experience, placed against the towering medieval backdrop, providing an immersive experience that insulates the mind from the everyday hullabaloo of the city life. The open kitchen is a wonderful interpretation of an old castle kitchen. Watch the culinary craftsmanship from behind the kitchen door to come forward and woo you. Enjoy an equally eclectic menu, featuring selections from a variety of cuisines from all over the world. The global spread has been given a modern spin to keep things interesting. Starters: Mediterranean Filo Pie - Potli (vegetarian), Prawn Tempura, Thai Chicken Skewer, Three Little Meat Sliders, and Beetroot Quinoa Tikki (vegetarian). Mains: Vegetables in Green Thai Curry, Chicken in Red Thai Curry, and Pineapple Rice. 52 Janpath is the perfect hunting ground for hosting a garden buffet lunch or spending a quiet evening over meals with your loved ones, amongst birds and butterflies. So what are you waiting for? 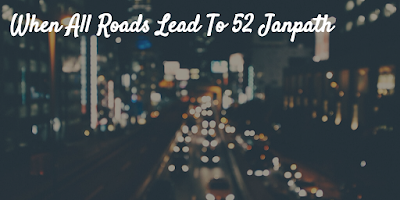 Go, make 52 Janpath your new abode!